Scuba divers like to visit new dive points, stunning underwater views and also catch the sight of amazing sea creatures while they are diving. You may grab them in just one visit. Where is it? Malaysia. Checkout our travel tips to Malaysia and out things to do in Malaysia before going. In Malaysia, you can head for some friendly and tame turtles, watch sharks, observe barracuda vortex. Malaysia offers some great scuba dive points; first of all, you can go to Sabah, the South East region to be exact. I have found there is easier places to get to, like the east coast but the area is likely to be visited in monsoon season, which usually happens around October to March. To make things easier, we have made a list of the best places for scuba dive in Malaysia. We classify them based on their beauty, dive conditions and also the mixture of living creatures. 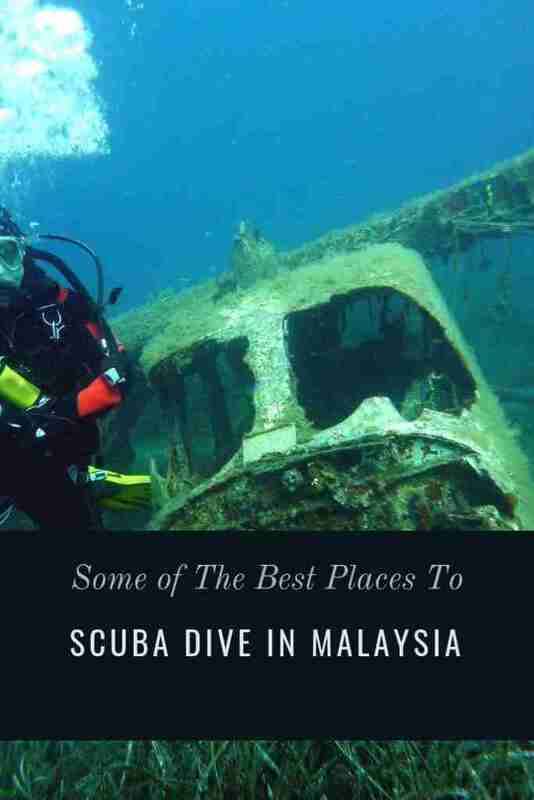 It is the ultimate place in Malaysia for learning how to dive. The panoramas are miraculous for any level of divers even the advanced ones. After the learning session, you can continue your own journey as the water is really calm and safe. Shallow reefs near the island allow you to do snorkelling and enjoy the fish, turtles, underwater life and creatures. Moreover, it offers the lowest cost for learning to dive. Are you a newbie scuba diver? No more words, you have to choose Perhentian Island. Fullstop! An absolute choice for diving as it provides countless dive points. You may find dive school mostly in Kinabalu and several more on the islands. It’s like Perhentian Island, Tunku Abdul Rahman Marine Park is a decent place to learn diving. It is located in the heart of the Terengganu Marine Park. As a dive site, Redang has flawless coral reefs and perfect dive surroundings. The cost of diving journey is reasonable enough, even for backpackers. Note: You should pay attention, between October to March, once the monsoon season comes you cannot go to Redang. Next, we have three gorgeous islands. They are Sipadan Island, Kapalai Island plus Mabul Island. In all probability, they top our list for diving sites around Malaysia. Sipadan is our main recommendation to do scuba diving. 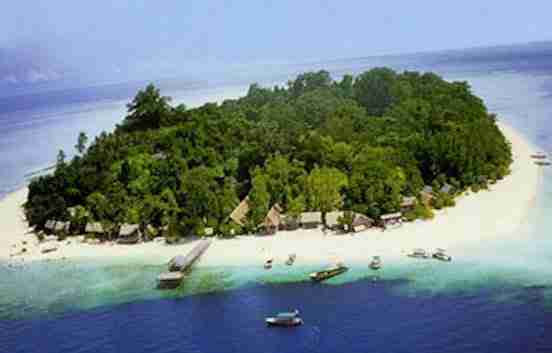 Talking about Mabul, it is famous for the amazing diving circumstances. The next island, Kapalai, is more of a sand area. Hence, it’s not a decent option for diving. Instead, you can identify high class resorts. Frankly speaking, the spotlight goes to Sipadan and Mabul. Nevertheless, you have to visit all of them in one package. It is not allowed to leave one of them. That is the reason why we bring them together as a bundled option. Lankayan Island is located near Sandakan. It is just a small island; as a result, it has one high-class resort only. But if you go mainly for diving and relaxing, you made the proper decision. Thus, they makes Lankayan stays right behind Sipadan when pointing out the best dive condition and spots available in Malaysia. Although the name is an “island”, in fact, it is not a tropical island. Layang-Layang Island has landing strip from concrete completed with one resort. A marine base is also there and the island is located on big sand bank. The remote area makes Layang-Layang Island is quiet safe from human beings, include the underwater world, at least for now. You can see virgin corals and watch big species plus big bunch of fish species. Lang Tengah Island offers an amazing experience in diving. This island has several resorts. If you are not a diver, it is also appropriate for you. In Lang Tengah Island, there is some fascinating stuff to watch. Some of them are turtles, snappers, amazing rock formations, barramundi cods and wrasses. Furthermore, it also presents lovely corals, cute rabbit fish, sharks (nurse and bamboo), shovel-nosed rays and butterfly fish. Note: That Lang Tengah Island cannot be visited between October and March because of the monsoon season. The condition of the sea current makes Tenggol Island is not a good choice for beginner. Its unpredictability makes it more suitable for advanced divers. But, if you can make it, you will be rewarded a striking experience. There are comfortable and nice resorts on the island. Note: That from October to March, people cannot visit Tenggol due to the monsoon season. Scuba diving is not the only activity you can do here. You can also do snorkeling, kayaking and even sunbathing. Tioman Island is included in the Mersing Marine Park area. The cool thing is, you can find over 25 dive spots, which available for all level of divers. The size of the island allows you to do plentiful fun activities. The only problem is, you will meet difficulty to reach Tioman Island as other islands offer far easier access. 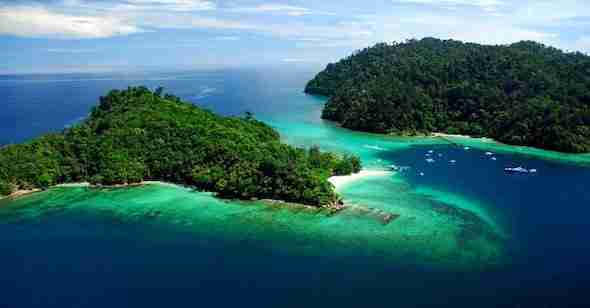 On the other hand, if your budget is sufficient, you can go for direct flight from KL to Tioman. Finally, it is an unforgettable experience if you can make it to some of these places to dive. Our simple tip for you, if you have limited time and cash, you need to organize your scuba diving trip extremely well. Why? They are all really tempting. You will believe in the term “time flies” after you landed there, literally. All of a sudden, your days are over and you have to go back home tonight. And that’s it for now! 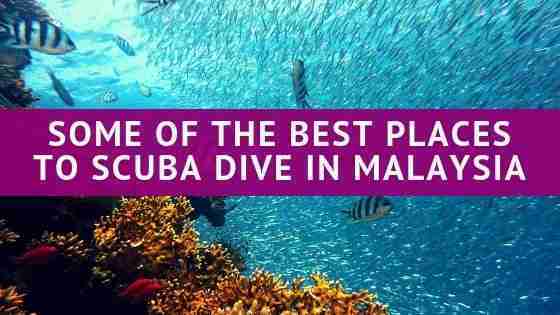 I’d love to know if this post on the best places for scuba dive in Malaysia was helpful to you. Let me know if you have any questions and let me know if you go.